TORONTO, On – May 2, 2018 – Today, Avanti, the market leader in Print MIS software, and BCC Software, the leading provider of comprehensive postal software solutions, announced the integration of Avanti Slingshot to BCC Software’s popular BCC Mail Manager™ postal software. The integration will be featured at the upcoming National Postal Forum in San Antonio and represents a big step forward in automated workflows for print & mail processing. The two-way integration provides seamless communication of the mailing and production requirements for a job, enabling uninterrupted processing of mail jobs and full palletization support with merge/purge efficiencies. 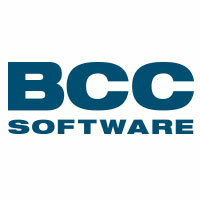 BCC Software Mail Manager Full Service™ is a USPS® CASS/PAVE™ certified platform that is fully integrated with Avanti Slingshot’s leading Print MIS software, making it the best-in-class end-to-end automated print to door solution. For Print and Mail shops, the integration will eliminate risk and errors that typically result when mailing lists are processed. Postage, reports and production mail files will now be added directly to an Avanti Slingshot Order, ensuring all mission critical information is centrally located. Business requirements that impact mail sorting rules will be communicated automatically to Avanti Slingshot to create correct mail drop and postage information. To learn more, visit our Avanti + BCC Integration page or download the Avanti + BCC 2-page brochure.